The earnest money deposit needs to be issued as a check and will be deposited into the Listing Brokerage’s Escrow Account until closing, or funds need to be disbursed. 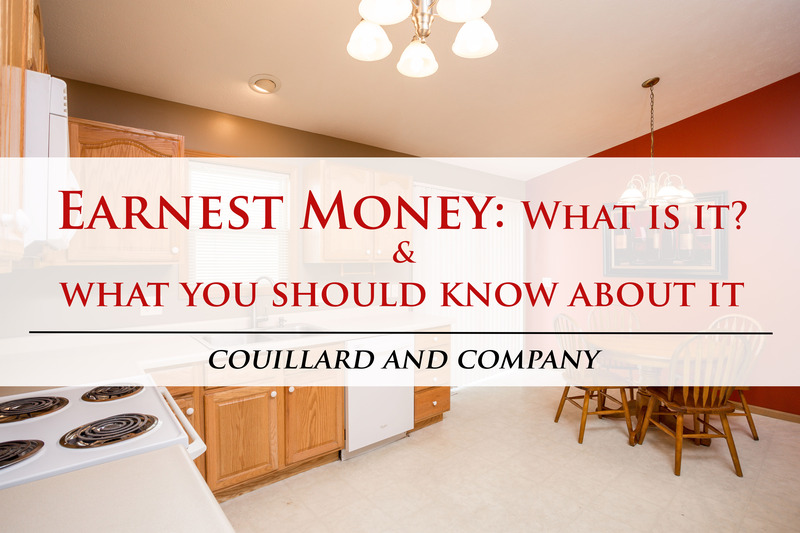 I like to refer to earnest money as “good faith money,” when consulting with my buyers. The more earnest money that a buyer is willing to present, the more qualified it makes them seem. Often, this earnest money is a term that is negotiated when putting together a Real Estate sale. Moreover, the larger the earnest money deposit – the more confidence the seller typically feels with the buyer. In our area, approximately 1% of the purchase price is typically an appropriate amount of this earnest money. I am a huge proponent of raising that bar to 2-3%. The minimum down payment amount for any type of loan these days is 3 or 3.5%, so it only makes sense to me that we should raise the bar on this common practice. A buyer, if committed to buying the house they are offering on, should be willing to present that much earnest money – as it is credited toward the down payment needed at closing. I always consult buyers in the form of “risk.” What is the maximum amount of money that you would be willing to walk away from if this offer and contract started to fall apart? Let’s talk about that, and then let’s present that amount. Bare in mind, that as a buyer, you will have the opportunity to receive that money back per the agreed terms of the contract if the contract needed to be canceled for any reason. If you move too quickly into an offer and then decide you just simply do not or cannot buy it? Then, the seller would have grounds to keep it. There is a much larger conversation around this topic of earnest money. Feel free to ask us a question or get in touch about any of your real estate needs! Just fill out the contact form below!